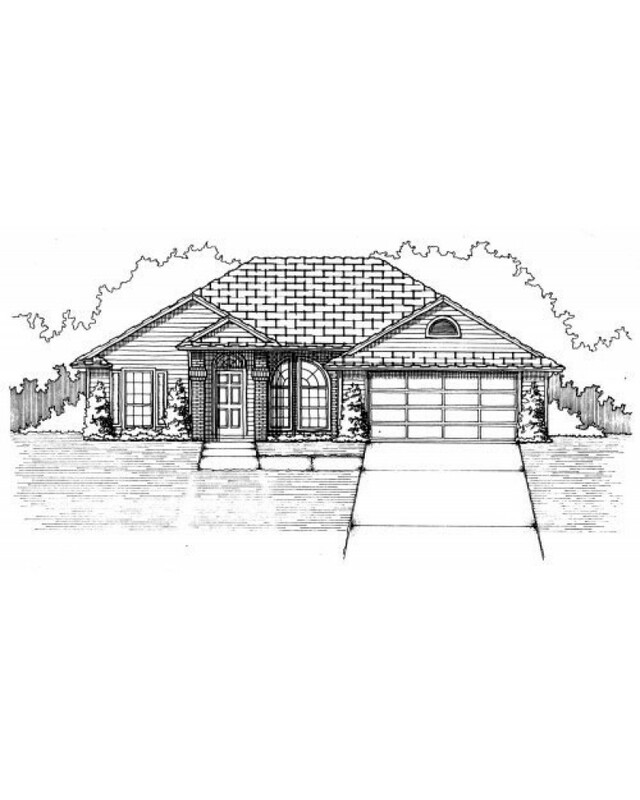 This popular design has that friendly cottage-like appeal with it's calm combination of lap siding and brick veneer. 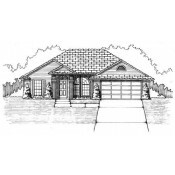 The private Master Suite is topped w/ a trey or stepped ceiling and enjoys peaceful views to the backyard. Boasting dual lavatories separated by a knee space, a soaking tub, separate shower, linen & walk-in closet, the Master Bath allows ultimate relaxation. Convenient placement of the secondary bath creates a comfortable separation of bedrooms for added privacy. 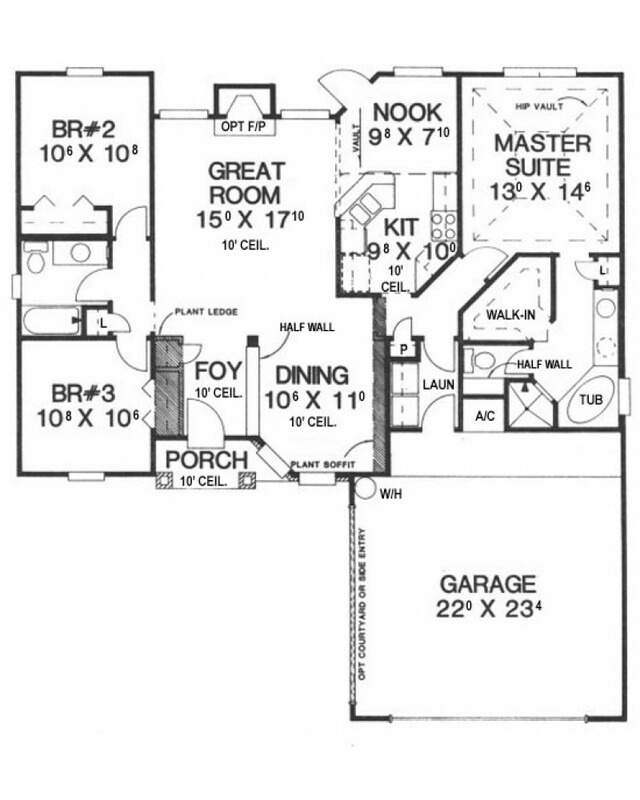 To view similar plans please search our plans H1489A, H1509A, H1510A, H1604A, H1613A, H1613B, H1617A, H1641A, H1672A, H1677A and H1725A. 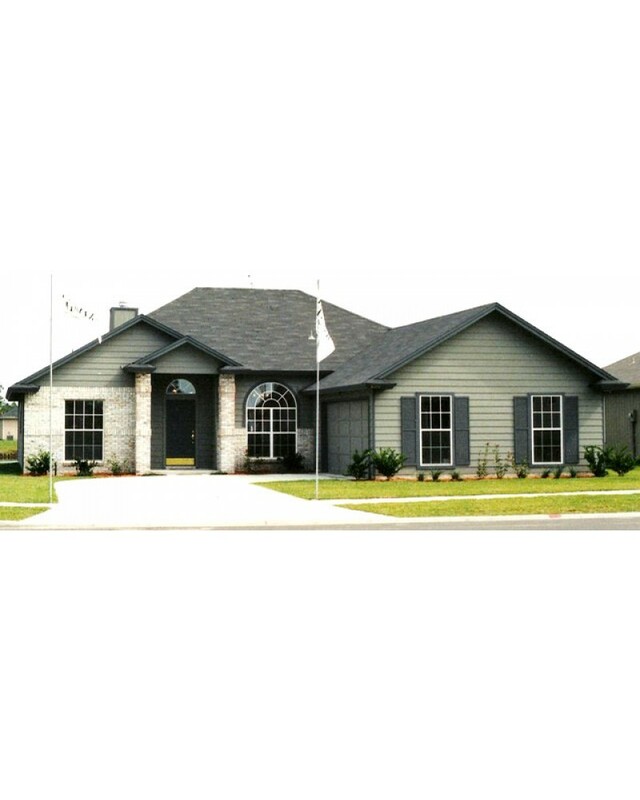 This popular design has that friendly cottage-like appeal with it's calm combination of lap siding and brick veneer. The private Master Suite is topped w/ a trey or stepped ceiling and enjoys peaceful views to the backyard. Boasting dual lavatories separated by a knee space, a soaking tub, separate shower, linen & walk-in closet, the Master Bath allows ultimate relaxation. Convenient placement of the secondary bath creates a comfortable separation of bedrooms for added privacy. 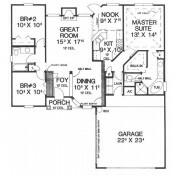 To view similar plans please search our plans H1489A, H1509A, H1510A, H1604A, H1613A, H1613B, H1617A, H1641A, H1672A, H1677A and H1725A. 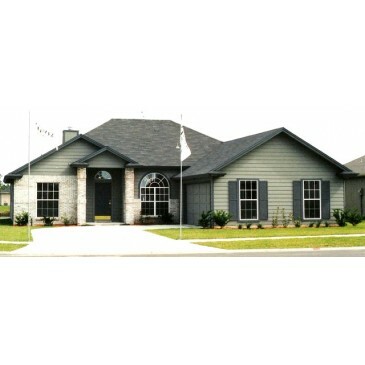 Stucco or Brick/lap front, with sheet siding on sides & rear.